I am the same Advi as the one on Fanfiction.net. While not writing fanfiction, I've also composed a novel and right now I'm waiting to hear from agents. I'm also beta for my best friend, Cindygirl. My first ever fanfiction: Traveling with Sesshoumaru, written years ago, has now found a new home here on Dokuga. Dokuga will also be the forever home to Down the Rabbit Hole and Kagome, Lady of the West which shall soon return to this site. I will not be posting In The Rain here, as it does not comply with the rules of the site. 2014 note on Kagome, Lady of the West. Dear readers, as you noticed, I am returning this beautiful story to Dokuga. But, it isn't just the act of returning this story---it is the continuation of this story. I am finally updating it and soon a brand new chapter shall appear. YUP, chapter 16 is coming soon! I shall try my best my dear readers to update this story once every month. Hello everyone... well... erm to those who visit my profile >///< I'm coming out of fanfiction hiatus and hope to return to posting fanfictions before Christmas. So, yes... Down the Rabbit Hole and Kagome, Lady of the West are coming out of hibernation. An epic journey is started for Kagome after she returns to the well one day and finds Sesshoumaru there instead of Inuyasha, Distraught after finding Inuyasha cheating on her again, Kagome follows Sesshoumaru on a journey that would change her life. Miroku and Shippou walk into a cave only to find Kagome and Sesshoumaru emerging from under a white sheet, their bodies bare. This one-shot chronicles the events the night before. A storm, a cave, youkai hogs, a serpent youkai, and an underground lake... do these things have a connection? Read to find out. A tale that chronicles the story of Kagome, who pregnant and dumped by Inuyasha, becomes the lifelong mate of the human hating, icy, Lord Sesshoumaru, ruler of the Court of the West. 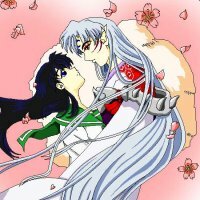 hiya, i just wanted to say that your fanfics are awesome and a really good read especially travelling with sesshomaru'. i actually cried when i read the letter he wrote to kagome when they had that argument. the other thing that surprised me to run to your wall here is the fact that you wrote Bahasa Malaysia and brought malay characters into the story! it cracked me up to imagine sesshomaru talking in malay but at the same time the way you brought those characters in were well molded and i say double thumbs up to you for this extra treat! I'm sorry that people aren't reading the thread about sending your awesome fic out, I'm kinda thinking that I'm gunna start taking Karma away from people who keep asking, now that the fic is OBVIOUSLY being posted here. Btw thats so very cool of you! I'm glad your on Dokuga, its a wonderful site when people actually actively think and listen >_> 'can't make a horse drink water though' anyway, I know you've seen this before, but i wanted to let you know its on Dokuga as well. Feedback from advi: Thank you so much, my friend, you get a big old hug from me! Yay ! I've been wanting an update from Kagome, Lady of the West for over a year! I always get so upset when great ideas never finish. Feedback from advi: Lol, thank you for your support, but I am just posting the chapters that had previously been published on ff. I really do hope to add a 'brand new chapter' to that marvelous story soon. Welcome to Dokuga and I look foward to all your stories. yay yay yay! Nice to have you as a fellow DOKUGAN! Welcome to Dokuga, Advi. I'm glad you decided to join, and I hope you have a great time.